[Updated at 11:12 p.m. ET] Katia became the second hurricane of the Atlantic season Wednesday night and is forecast to become a Category 3 storm in the Atlantic Ocean by the weekend, though it's still too early to know whether it will hit land. 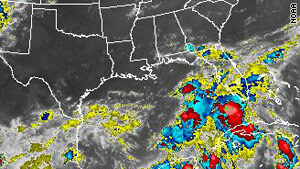 This image, taken at 9:15 p.m. Wednesday, shows storms in the Gulf of Mexico that forecasters say could become a tropical depression. Elsewhere, forecasters on Wednesday saw the potential for a new tropical storm that could hit the U.S. Gulf Coast over the weekend. A cluster of storms over the southeastern Gulf of Mexico on Wednesday could become a tropical depression by Thursday, with the help of upper-level winds that are forecast to aid development, the National Hurricane Center said in its 8 p.m. Wednesday tropical weather outlook. “Most computer models are developing this into at least a tropical storm, if not a hurricane within the next two days,” CNN Meteorologist Jacqui Jeras said Wednesday evening. Searchers believe they found a signature of Jacob Rigby, 27, on a register at the summit of Brave Dog Mountain. 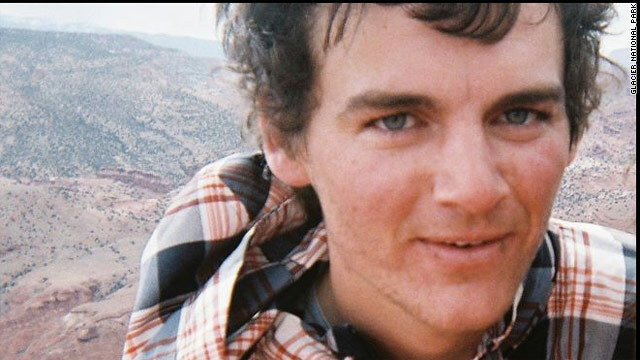 Searchers spent a third day Wednesday looking for a Glacier National Park employee who didn’t return from a hike they believe he took in a steep, mountainous part of the park in Montana, officials said. Jacob “Jake” Rigby, 27, was reported overdue at 2 a.m. Monday after failing to return from a hike he started on his personal time the day before, the park said in a news release. On Tuesday - the second day of a search involving ground crews and helicopters - searchers found what park officials believe is his signature on a register at the summit of the park’s Brave Dog Mountain. It was dated Sunday, the park said. Overheard on CNN.com: Praise for the government? The U.S. Department of Justice filed an antitrust lawsuit against AT&T on Wednesday seeking to block its $39 billion merger with T-Mobile. 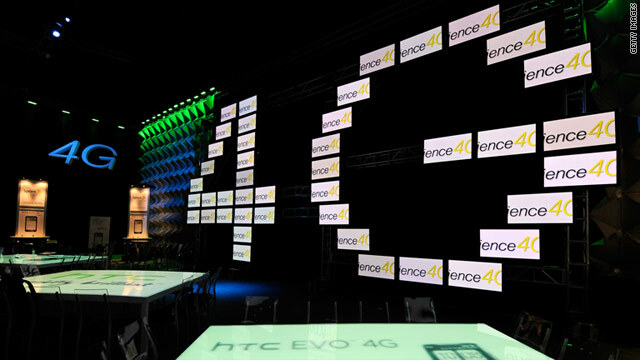 The merger would have created the largest wireless company in the United States — AT&T is currently second, behind Verizon. Justice concerns about the merger include a market dominated by the top two companies leading to higher prices and fewer choices for customers. [Updated at 4:20 p.m. ET] A son of fugitive Libyan leader Moammar Gadhafi called Wednesday for fellow Libyans to rise up against the "gangsters," "rats" and "mercenaries" attempting to wrest control of his country. "We will have victory soon," Saif al-Islam Gadhafi told Rai TV, a Syrian television station, in a telephone call. He added, "Everyone is Moammar Gadhafi. Wherever you see the enemy, attack them. They are weak, they have suffered lots of losses and they are now licking their wounds." Gadhafi did not divulge the whereabouts of his father, but said, "The leader is fine. We are fighting and we are drinking tea and drinking coffee and sitting with our families and fighting." Nigerian authorities said Wednesday that a man with ties to al Qaeda plotted last week's car bombing at the United Nations' headquarters in the Nigerian capital that killed 23 people. The Nigerian State Security Service said Mamman Nur recently returned from Somalia and was "working in concert" with two other suspects who have been arrested. The militant Somali group Al-Shabaab has been linked to al Qaeda. 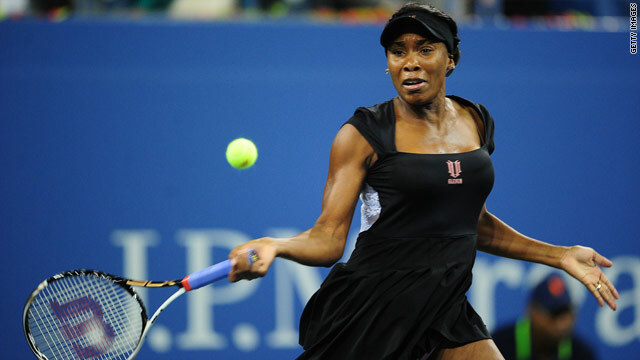 The secret service described Nur as a "notorious Boko Haram element." Boko Haram, a militant Islamic group, aims to enforce a strict version of Islamic law in Nigeria. The militant group had claimed responsibility for the attack in which a Honda packed with explosives rammed into the U.N. building, shattering windows and setting the place afire. 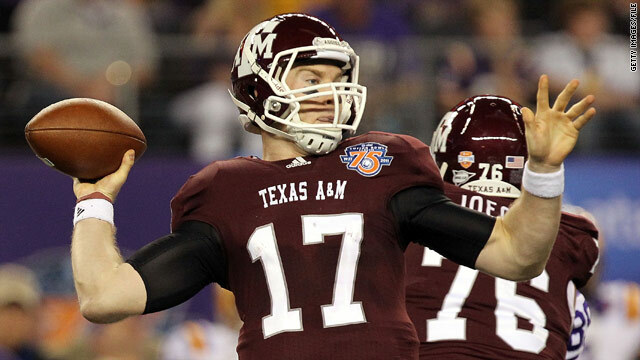 Texas A&M's Ryan Tannehill may be the last quarterback to skipper the Aggies as members of the Big 12 Conference. Texas A&M Aggies on their way out of Big 12, but to where? Texas A&M University took another step Wednesday in its bid to leave the Big 12, notifying its conference that it had submitted an application to join another league, according to a news release. There has been ongoing speculation that the Aggies might join the Southeastern Conference, a premier athletic conference that can boast the past five national football champions. However, the Texas A&M news release did not say which conference it had applied to join. Should the application be accepted, the Aggies will vacate the Big 12 Conference on June 30, the university said. University President R. Bowen Loftin told conference Commissioner Dan Beebe in a letter that it was in the school's best interest to join another conference. "We appreciate the Big 12's willingness to engage in a dialogue to end our relationship through a mutually agreeable settlement," Loftin wrote. "We, too, desire that this process be as amicable and prompt as possible and result in a resolution of all outstanding issues." The Aggies have been a part of the Big 12 since the conference was expanded from the Big Eight ahead of the 1996-97 season. The 49,000-student institution situated in College Station enjoyed record athletic success last year, scoring nine conference championships and four national titles, according to the university. Filed under: College football • Education • Football • Sports • Texas • U.S.
One of the first U.S. casualties from Hurricane Irene, which killed 43 people, was a popular Florida teacher who suffered a fatal head injury Saturday when a big wave knocked him down. Frederick Fernandez, 55, an algebra teacher at New Smyrna Beach High School, was known as a skilled surfer, according to CNN affiliate WESH. Although the brunt of the storm missed Florida by hundreds of miles, it stirred up high surf that brought many, including Fernandez, out to the beach. Fernandez was standing in shallow water when a large wave bowled him over and slammed his head against the compacted sand, WESH reported. Principal Jim Tager couldn't bring himself to speak of Fernandez in the past tense. "He's just well-respected," he told WESH. "The family is well-respected. They are from our community, and it hurts. I hope it brings us all closer together, and he is just a fine man, and I know many of us wish we could be just like him." Hurricane Irene almost certainly has roared into 2011's list of billion-dollar U.S. disasters in a big way. Overheard on CNN.com: Female forced executioner a war criminal or victim? The story was one that clearly struck a chord with our readers. It brought up a lively debate in the comments about people's thoughts about the girl herself and some thought-provoking questions: Is this woman responsible for the actions she took based on the position she was put in? How does someone in this position respond? And what does this all mean for the fight for freedom in Libya? "She was following orders. In war you really don't have an option to what you want to do. Is it horrible? Yes," MyDogLue wrote. "Should she be punished? Possibly if incriminating facts come up, but probably not. Should her commanding officers be punished? Yes." Other readers sympathized with that idea, wondering how they would respond in the situation this 19-year-old says she was put in. "OK – so it was kill or be killed. I don't know what I would do in that kind of situation, and I doubt many could really be sure, unless it actually happened," talkiseasy wrote. "If her story is accurate, I don't know if I can blame her. It is a natural inclination to self-preserve." Others said they couldn't judge at all; they have no idea how they would feel if put into such a horrible position. "Unless we have been in this kind of position, not one of us knows how we would respond. I have a 17 year old son. This girl is just a few years older than him. I can't imagine him being anything but terrified of losing his life or losing his parents," IdleHands wrote. "It appears this young woman had no choice, she either did what she was ordered to do or face her family being killed and her own life taken. Like the poster said, I would like to think I would not take a life, but I really don't know." Dinkydo wrote that they believed this was a woman compelled to do something without any say. "This is terrible................just a young girl required to do such terrible things.....to kill for a dictator..........I feel sorry for her...........she was not compelled....she was required to do this," the user wrote. MightyMoo agreed, saying: "It doesn't matter if she pulled the trigger or the man who would kill her did. 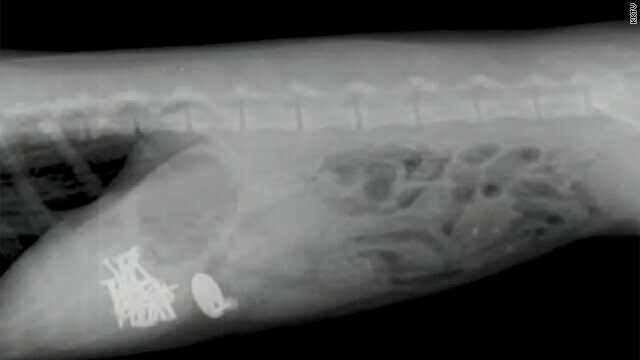 An x-ray shows 31 nails inside a dog's stomach. If you're an x-ray technician, you're bound to see some unusual things. But even the most seasoned professional couldn't predict seeing a man with hedge clippers stuck in his eye or a girl with a safety pin hidden inside her body. You've gotta watch these intriguing x-rays of misplaced objects. Despite sunny skies, flood warnings remained in effect Wednesday for areas of several states hard-hit by Hurricane Irene, as authorities struggled to clean up and rebuild roads and bridges in the aftermath of the storm. "Nobody that got hit with this flooding dodged a bullet," Craig Fugate, Federal Emergency Management Agency administrator, said Wednesday. "Loss of life, extensive damages, homes flooded ... it may not have been as big a deal on the coast, but these flood areas definitely got hit hard." Irene killed 43 people from Florida to New England as it marched up the Eastern Seaboard over the weekend, dumping torrential rains. Some of the worst flooding struck Vermont, New Jersey and upstate New York. 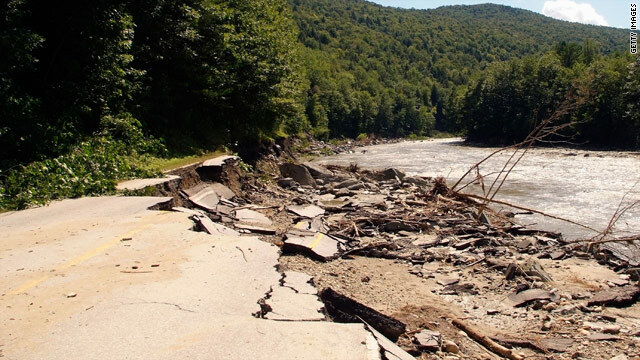 Route 107 is seen destroyed after floodwaters receded Tuesday in Bethel, Vermont. Irene recovery under way as Katia forms - States in the Northeast - particularly Vermont, New Jersey and New York, which saw the worst of Irene's wrath - were struggling with basic recovery efforts: rebuilding roads and bridges, restoring power and stemming the flow of floodwaters after Hurricane Irene struck this weekend. The Passaic River in northern New Jersey was still making the town of Little Falls look more like Niagara Falls. A resident in Montclair said the Passaic was high before Irene, but after the hurricane's rains, "the river began to rage." One Vermont town hit hard by Irene decided to look for a silver lining. Some Pittsfield residents - there are only 427 of them in all - decided to throw a barbecue. Homes were underwater and roads were impassable, but they nonetheless gathered at a local park for hot dogs and hamburgers. Said Jason Evans, owner of the ski town's Clear River Tavern, "No one in this town was expecting the flooding to be what it was, and we've all gotta eat." Meanwhile, Tropical Storm Katia was strengthening in the Atlantic Ocean and threatening to become a hurricane by Wednesday afternoon, the National Hurricane Center said. Early Wednesday, the storm was almost 1,000 miles west of the Cape Verde Islands, moving west-northwest at 21 mph. Katia could grow into a Category 3 hurricane with maximum sustained winds of 115 mph by Saturday evening, forecasters said. It is too early to say if or when the storm will make landfall. 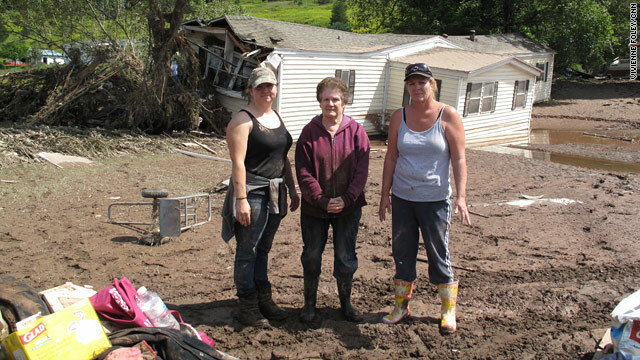 Hurricane Irene may have come and gone, but those that felt its wrath are still picking up the pieces. Watch CNN.com Live for continuing coverage of Irene's aftermath. 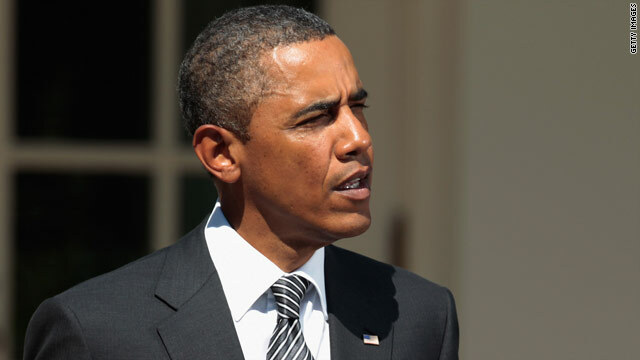 10:35 am ET - Obama pitches transportation legislation - President Obama will call on Congress to extend the Surface Transportation Bill and FAA reauthorization during an event at the White House.